Summer Mode On. 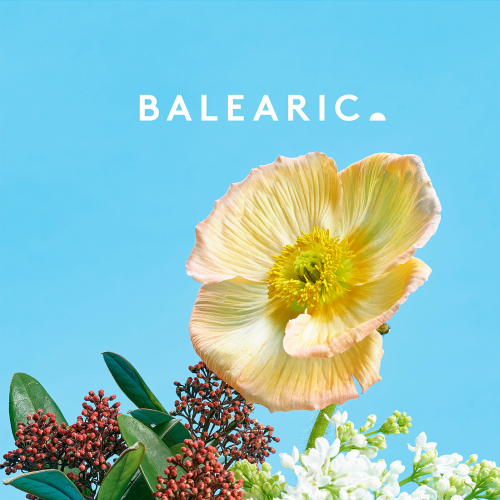 BALEARIC 4, compiled by Breese, is the soundtrack for summer, brim-full of beach-ready tunes that truly reflect Ibiza’s chilled musical spirit. Featuring two album exclusives: On-U Sound’s cosmic flamenco dub of Los Twangueros and a Breese remix of Robot 84 that brings Spanish guitars firmly to the fore. Digital exclusives too; Quinn Luke’s ‘Different Aspirations’ offers ‘I-know-this’ familiarity, Emerson Kitamura covers 70s classic ‘Rock Your Baby’ in lullaby style, while Max Manetti's ‘Changuinola’ winks back towards the Happy Mondays circa 1989. Other highlights include Gallo’s ‘Faron’ - currently proving the sunset bomb with Ibiza DJs; J-Walk’s modern remake of Maze’s ‘Twilight’; Fuga Ronto’s Rework of Kay Zee’s ‘Barny’ as a modern-day down-tempo beauty, plus Joe Morris’ ‘Skies Reprise’, which carries the mood dreamily off into the night. A dozen true pearlers, each one confident and ready to take their place amongst any quality collection.